The Australian capital city apartment market remains resilient even with new stamp duties being introduced in 2017, and banks cutting lending both to property developers and investors, as well as the FIRB restricting sales to foreign buyers to no more than 50% in any major development. These factors are likely to have a major impact on future supply. “The peak in supply was in 2017 and we expect around 25 per cent less stock to be delivered in 2018 "
This reduction in future apartment supply is likely to have an impact going forward on rentals, vacancy rates and even prices. "Tight development finance conditions and slower pre-sale rates are seeing a self-regulation of supply pipelines and far less projects move into construction." The amount of stock under construction across the five major capital city markets (Sydney, Melbourne, Brisbane, Perth and Adelaide) at the end of the 2017 third quarter fell to 39,760 apartments, shrinking around 10,000 apartments since July 2017. Underlying demand remains robust due to strong population growth across most of the country, and the lower Australian dollar is likely to continue to attract foreign buyers. "Buyers in many currencies are seeing prices some 15% to 25% cheaper based on the currency than 2 years ago." Rent levels and growth varies substantially around the country depending on the balance of supply and demand, population growth, and infrastructure and job opportunities. Rents are stable in Brisbane and Adelaide, grew by 1.5% in both Canberra and Melbourne during 2017 with Sydney rents growing by 2.5%*. "Strong house and apartment price growth in Sydney and Melbourne will force many renters who would like to buy to keep renting. This should support tenant demand for rental properties going forward." Going forward, rent rises in Canberra will be modest, landlords of older properties in Adelaide and Brisbane will need to become more competitive to attract tenants, as tenants are being attracted to new developments. In Perth and Darwin, further declines in rents are expected to occur due to oversupplies of stock. "Moderate economic growth is expected to continue, with the unemployment rate forecast to remain close to the 6% mark. The cash rate therefor is forecast to be stable at 1.5% for much of the next three years." The RBA is forecast to begin to tighten interest rates toward the end of 2019/20 with a 0.25% increase in the cash rate to head off inflationary pressures as signs emerge of the strengthening economy. This will take the standard variable rate to 5.45% by June 2020. Low interest rates are expected to continue to support upgrader/downsizer demand in markets where there is a dwelling deficiency. As a share of total dwelling completions, apartments have increased from a long-term average of around 32%, to 50% in 2016/17 as many more people start to accept and look for apartment living due to better affordability, lifestyle and location issues. Victoria: Dwelling completions in Victoria have been ahead of underlying demand since 2009/10. Completions have surged over the past four years, averaging 57,600 dwellings per annum, compared to 44,600 per annum over the preceding decade. The rise in supply has been mostly met by rising underlying demand due to strong population growth. The dwelling undersupply was estimated to be 5,800 dwellings at June 2017. Queensland: Like Melbourne has seen strong apartment construction in the inner city and has seen an oversupply emerge in the apartment market in certain locations and of a certain type of property. "Cancellation and shelving of projects is likely to to see the Brisbane oversupply diminish by 2019 to 2020. " South Australia: South Australia moved into oversupply in 2015/16 as completions increased and demand was flat. The dwelling oversupply is estimated to be 2,800 dwellings at June 2017. The current pipeline of construction will likely see dwelling completions outpace demand in 2018/19 and oversupply increase. Western Australia: Weak economic conditions in the post mining boom period caused underlying demand to fall steeply. At the same time, completions ramped up, eroding the existing dwelling deficiency and creating an underlying surplus. With very few new dwelling's being construction the surplus is expected to rise only a little further before beginning to be absorbed by 2019/20. Australian Capital Territory (Canberra): Strengthening demand and a sharp reduction in dwelling completions in 2015/16 saw the oversupply in the Australian Capital Territory market narrow over the year. New South Wales: A prolonged period of low construction in the late 2000s saw New South Wales accumulate a significant underlying dwelling deficiency, which is currently the highest of all states, which helps explain the price rises over the past years. The deficiency is now slowly being eroded, although was still high at an estimated 39,300 dwellings. Movement of population between the states changes in line with the house price differential and prospects for employment across the states and can affect the prospects for property price rises. Looking at net interstate migration, there seems to be a shift away from New South Wales. 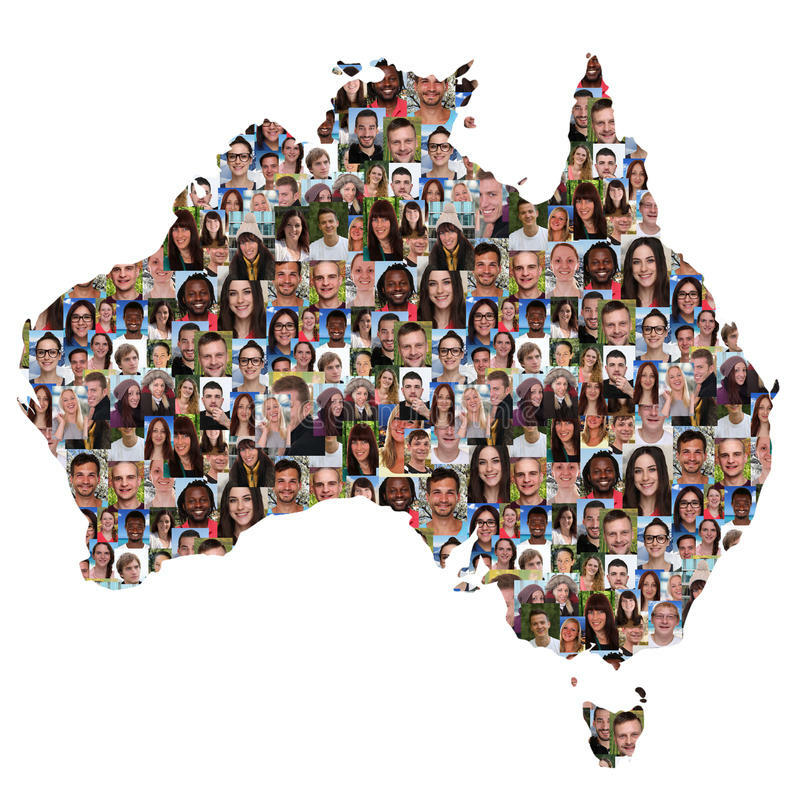 Over the past year, to June 2017 the population changes due to net interstate migration were: -14,859 in New South Wales, +17,182 in Victoria, +17,426 in Queensland, -5,941 in South Australia, -11,722 in Western Australia, +741 in Tasmania, -3,490 in Northern Territory and +663 in Australian Capital Territory. The outflow of residents from New South Wales has accelerated and is at its highest annual rate since March 2013 while the annual inflow to Victoria is lower than over the previous two quarters. Queensland now has the greatest annual inflow of residents from interstate of all states and territories and is at its highest level since December 2008. People from other States are being attracted to Queensland because of the improving economy and low property prices. In South Australia and Western Australia the outflow of residents has slowed moderately while in the northern Territory the outflow is continuing to climb. This reflects Sydney homeowners cashing in to find better relative value elsewhere. Based on historic trends, it looks like the Sydneysiders will be soon be arriving in greater numbers in Brisbane. In fact, they already are. "There are more people leaving NSW for other states and more people travelling to Queensland from other states," Housing Industry Association senior economist Shane Garrett said. Guess what? Queensland gained 19,000 people last year from the other states in Australia, the highest in a decade and fully 63% of them came from Sydney! to be able to outbid owner occupiers. "As a result, house prices are expected to remain stable or decline slightly by a cumulative 4% over the two years to 2018/19 before modest growth returns to take the median house price to $1,150,000 at June 2020, which should be the end of this cycle for Sydney." With higher interest rates and lower loan-to-value ratios for investor lending, capacity for investors to enter the Sydney market or pay higher prices for apartments is more limited than for houses. This will put downward pressure on apartment prices as investors retreat from Sydney and head to Brisbane especially around 2019-2020. Rental yields in Sydney are also at record lows. The large volume of new apartment construction taking place is likely to push vacancy rates up and put further downward pressure on rental growth as the dwelling deficiency is slowly eroded. The house market is expected to perform well over the next 3 years at least in Melbourne. With Melbourne’s upturn in new supply for apartments being stronger then houses, the market for houses is estimated to still be in undersupply. As a result, median house price growth of 6% is forecast in 2018. "At June 2020, the Melbourne median house price is forecast to be $940,000, a cumulative 10% increase over the period 2017-2020." The average apartment price in Melbourne could decline overall due to the number of small, poorly designed apartments drag the value down. "Although high quality, well designed apartments suitable for first home owners and owner occupiers could maintain their value and increase, especially in the AUD$500- 750,000 price range with the effects of the First Home Buyer incentives taking place.Investors should target this type of property." With Sydney and Melbourne having seen strong economic conditions, there has been an increasing number of people migrating to these two cities over recent years, both from elsewhere in Australia and overseas. With housing affordability now stretched and employment growth accelerating elsewhere in the country it is interesting to see how Queensland in particular is finally starting to see an increase in its share of overseas and interstate migration. Overall, the outlook for house prices in Brisbane remains good. The local economy will continue its move away from mining and start to recover. Employment prospects should return with huge public sector spending, as well as continuing growth in export sectors such as education and tourism. Underlying demand is forecast to strengthen and a downturn in new dwelling completions should see the oversupply in the market contained. "Cumulatively, Brisbane’s median house prices are expected to rise 7% between 2017 and 2020." Like Melbourne, many poorly designed and overpriced apartments aimed at investors have been constructed, which caused Brisbane’s oversupply. However, good quality apartment projects were valued in 2017 by banks at or near purchase price, and were able to generate full rental occupancy and good yields often exceeding 5%, amongst the highest in the country. Apartment completions are expected to ease significantly, reducing oversupply. "By 2020 on current forecasts there will be virtually no new supply appearing in Brisbane apartments." This could provide the impetus for some strong growth in rentals and prices especially as in 2020 Sydney will reach the end of it's current upward cycle, and investors will be seeking other -cheaper- options with better potential returns. Brisbane saw 3,012 new apartments finish construction in 2015 and 7,064 in 2016 and inner Brisbane peaked in 2017 with around 7,500 apartments. Still far less than the other cities. Underlying demand for new apartment stock in Brisbane lies somewhere between 3,000 and 5,000 new apartments per year. The cranes are starting to come down and not being replaced. By as soon as 2019, the market will be a very different landscape with limited projects under construction and very limited new projects in pre-sales leading to an undersupply. What that means to potential purchasers, is that right now and for the next 12 months or so, it is a particularly good time to buy good quality projects whilst there is some additional supply available, and especially before 1 July 2018 when investors Stamp Duty increases to 7% on that date. "and especially before 1 July 2018 when investors Stamp Duty increases to 7% on that date." Overall, Brisbane is at an early stage of its upward cycle, and providing apartment numbers are kept in check, which current indications seem to show, there could be good long term growth anticipated because of low entry prices, population growth and an improving economy. Queensland offer the lowest prices to buy, and lowest taxes of the major East Coast cities.